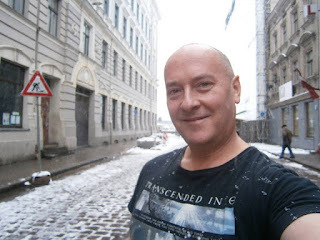 This week, we are beginning a new "Akenfelds on the Issues" regular column which will penned by Australian-born Latvian citizen Kris Akenfelds. Do you remember how we reported about about that Australian guy who flew from Cambodia to Tokyo, Japan to attend the Latvian Embassy in Tokyo so he could vote in the Saeima Elections? That was him, and he's starting out with an ode to the city dearest to his heart. Several years ago, a Latvian consular official, normally based in Australia, was visiting his native Rīga. While in the Art Nouveau district of Rīga, he met a young American couple who had arrvied in Rīga for the first time. “What do you think of Rīga?” he asked. “It’s ruined Paris for us” they replied. It was one of the grandest compliments that Rīga could ever have received. With Paris being one of the most visited cities in the world, famed for drawing tourists from across the globe who seek to revel in the romanticism of its artworks, architecture, and history, two first-time visitors happily flipped Paris into second place to hand the crown to the city of Rīga as one of Europe’s truly beautiful destinations. They don’t call it the Pearl of the Baltics for nothing. Rīga was founded in 1201, although the site had been inhabited since long before that. Sitting on the Daugava River, and located strategically within the Baltic region, it has historically been an important economic and cultural crossroads between Northern and Eastern Europe, with important ties to the West. This geographic significance, however, has also set the scene for Rīga’s turbulent and stormy history. You don’t have to do too much walking around Rīga to see who has had a hand in ruling the city over the past eight centuries. 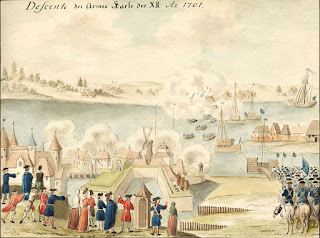 Upon its foundation, Rīga was ruled by the Livonian Order before becoming an Imperial Free City of the Holy Roman Empire, thereafter being ruled successively by the Polish-Lithuanian Commonwealth, the Swedish Empire, the Russian Empire, and briefly by the German Empire before becoming the capital city of the Republic of Latvia. It then went on to be taken over by the Soviet Union, followed by Nazi Germany, and the Soviet Union again. It wasn’t until 1991 that it returned to its rightful status as the capital of the Republic of Latvia, which it continues to enjoy today. Sadly, Latvia has been a battlefield for many parts of its history, with Rīga being the prize of war. Armies don’t go to battle unless the prize is worth taking. Clearly Rīga has been a highly prized city since the day it commenced operations. And the most amazing thing about this? Rīga is still here. In a world where cities like ancient Babylon have risen from the dust to attain greatness only to return to dust, Rīga, like a Baltic “Rome”, has proven itself to be an Eternal City. It is a city whose bloodline is not easily daunted. Being at a crossroads comes with its advantages. The island nation of Singapore, as an example, has demostrated that principle in spades. As a small island with little in the way of natural resources, Singapore became independent in 1965 and set out on its national journey as a Third World country. Yet, within less than a generation, it became one of the richest places on Planet Earth. It’s biggest assets: a hard-working population and a fabulous location on a significant economic and cultural crossroads. The rest is history. Rīga mightn’t be ready to be fairly described as the “Singapore of Europe” but it does have two of the main ingredients with its hard-working population and a favourable location in the midst of some very large economies. With the right governance, very little will hold Rīga back from becoming one of the most prosperous cities in Europe. Only time will tell if that is to eventuate. It will be encumbent upon the people of Rīga, and Latvia in general, to participate vigilantly in elections and to vote wisely so as to ensure that the city of Rīga, and the nation of Latvia, eventually gets the governance that can do it justice. On this occasion, this writer will refrain from saying exactly what he thinks of the current leadership. 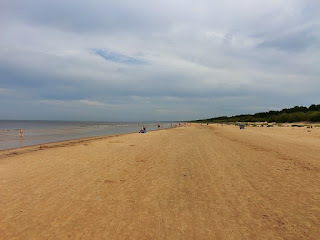 My connection to this Baltic dynamo is quite personal. Though I was born in Australia to an Australian mother, my father was from Latvia. He was one of many who felt forced to flee from the illegal occuption forces that marauded their way from the east into Latvia, committing atrocities, violating the rights of ordinary Latvians, and seeking to establish one of the ugliest regimes of repression in 20th century history. I spent my formative years hearing about the beautiful country of Latvia and the terrible things that happened there. I still remember my aunt, also a Latvian exile, with tears running from her eyes as she told me about the things she had seen when the Soviets invaded Latvia. Even at the age of seven, I understood that an entire nation had been stolen from its citizens by the forces of greed, malevolence, and injustice. Sadly, my father became ill and died when I was ten years old. He never lived to see Latvia regain its independence. One of the most monumental and life-changing moments in my adult life happened in September 2013. I was sitting in a hotel room in Nice, France when I found out that an exciting piece of legislation, which had been passed through the Saeima earlier that year, was about to come into force on the 1st of October. 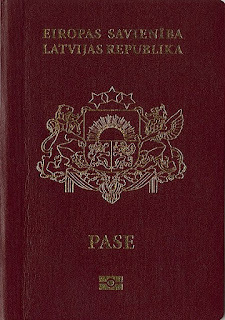 It was going to be possible for me to become a citizen of the Republic of Latvia merely because I was the son of a Latvian exile. 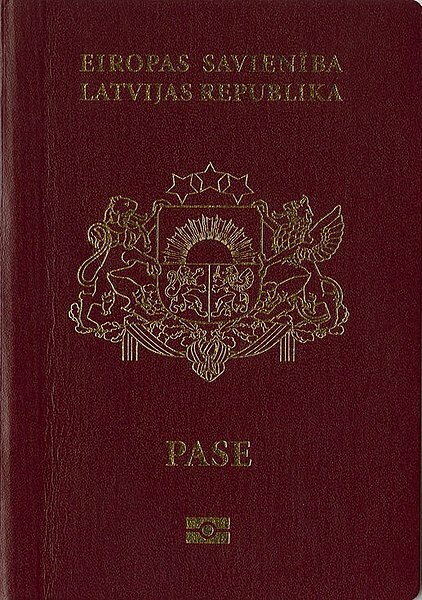 I immediately swung into action and devoted the next ten months of my life to obtaining the documentation needed to prove to the Latvian authorities that my father was a Latvian exile who had lived in the Latvian Displaced Persons Camps in Germany prior to being accepted by Australia as a refugee under international law. On Wednesday 16th July, 2014, while living briefly in Strasbourg, France, I received an email from the Office of Citizenship and Migration Affairs in Čiekurkalns. The email advised me that I was now a citizen of the Republic of Latvia. I sat at my desk and cried like a child. Eighteen days later, I arrived in Rīga to sign some more documents. I was to remain in Rīga for the next two years, where I lived, worked, and met some of the best friends I have ever known in my entire life. The two years I spent in Rīga re-defined my life. Since I left Latvia in 2016, I have never felt complete. It is with great happiness and pride that I can say I will finally be returning to Rīga next year. I want to go back to being a part of the phenomenon that is Rīga and contribute to it in the best way that I know how. Watch this space. 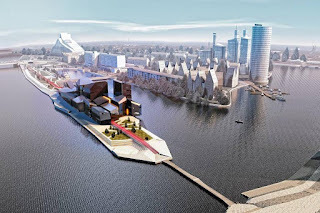 Why do I think Rīga has such a bright future? Think about it for a moment. In countries like Australia and the United States, two comparatively affluent and secure nations, there have been towns that have arisen like comets while riding upon a tidal wave of economic prosperity, only to end up becoming ghost towns many years afterwards, with no resident populations. These were towns that suffered neither invasion by a hostile army, nor any particular calamity delivered by forces of nature. Yet, they’re gone. That’s what happens with there’s no more gold coming out of the ground. Rīga, as we know, doesn’t have any gold coming out of the ground to deplete. It was built on something far more enduring than mineral exploitation. They say that the three most important things about real estate are location, location, and location. The city of Rīga has a great location. It’s a great piece of real estate. That’s why Rīga is still with us, while so many other cities have vanished into the sands of time. Rīga’s location allows it to join Rome, Italy and Kyoto, Japan as an Eternal City. No matter how many times it has been invaded, no matter how many bombs have been dropped on it, no matter how many people have died defending it, no matter how repressively it has been governed, Rīga keeps on keeping on. For Rīga to continue its advance into greatness and prosperity, it must never lose its vision. Rīga must continue to build upon its conceptual status as a crossroads city. Developing its port facilities, the airport, its railway network, as well as roads will be crucial. They are all important parts of the critical infrastructure that will determine Rīga’s fate, now and into the future. Meanwhile, taxation, though important and needed, should never be allowed to become a silent oppressor that scares away the most ingenius companies and investors. Above all, Rīga, and Latvia in general, must fight to rid itself of the cancerous corruption that has worked against, and not for, Latvians and their prosperity for far too long. I like to think that important and valuabe changes are coming. Rīga must constantly strive to develop and expand international tourism by promoting itself to the entire world. 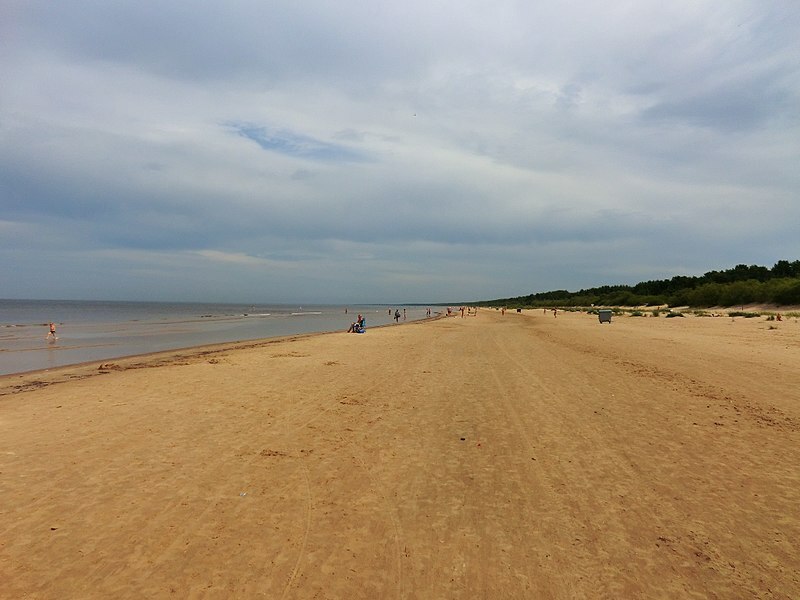 Cultural and eco-tourism will be Latvia’s strengths. Rīga should also seek to be a major city of choice for international conferences, conventions, and business meetings. Rīga should constantly seek input of new ideas and better business management models from farther afield. It should enact policies that encourage the most talented of technologists and innovators to form beneficial ties with the scientific, industrial and commercial communities of Latvia. Moreover, Rīdzinieki – the natives of Rīga – must always strive to conduct themselves towards the city’s very best visitors in a way that reflects great credit upon Latvian people. As can be readily seen in some of the most economically successful cities in the world, it will be the openness of a crossroads city that catapults it to greater heights. Nothing will be achieved by building barriers around it. This is something that those who move and shake Rīga must keep in their hearts and minds. That, of course, means everybody who lives there. We should all be working to make Rīga an Eternal City. Kristofers Akenfelds is the author of Latvia Weekly’s "Akenfelds on the Issues" column, and currently lives in Cambodia. He plans on returning to Latvia this spring. Well written. I look forward to your future articles. A good complement to Latvia Weekly's authors. Thank you, Alex. I aim to keep them coming! Great to have your Down Under perspective, Alex. I was born there, fled in '44 as a wee bairn, and have been coming back every year since about 2000. Re-gained citizenship about the same time you did. Many cousins in Australia, last name Lubans. Thanks, John. I'd be happy to catch up with you for a Valmiermuiža or six! Excellent, happy that you have started what will hopefully become a regular column. Thanks! I aim to keep this column alive, and more lively as it goes!